Hello dear Passionshake readers, it’s Patrizia here, and I am back with my first column in 2019. I hope you all started fresh and full of energy into the New Year. I like January, because it marks a new beginning and I love making plans for the month to come. This year, one of my personal goals is to run an eco-friendlier household. Don’t get me wrong, we are already doing a lot. We recycle, we try to use less plastic, buy biological food and fair produced clothing. But until now, I never talked about it on the blog. Usually, I write about all the beautiful things in my home, decorating tips or how to style a new object the right way. Today I’m not. I want to talk about how small changes in your home can make a big difference in producing less waste. Washed on the coastline, plastic pollution is obvious and visible for everybody. But for those of us who don’t have the privilege to live by the ocean, it’s sometimes hard to see that the mess originates from where we stand, from our countries, cities and our homes, and it is time we all do something about it. Belief me, there are so many simple and totally stylish ways to make an effort. Let me show you what I mean. There are great alternatives for covering your dinner leftovers or wrap the sandwich you take to work. One option is beeswax fabric wrap. All natural and super practical. I have to admit, when I first purchased a pack here in Switzerland, I was pretty disappointed with how they looked. 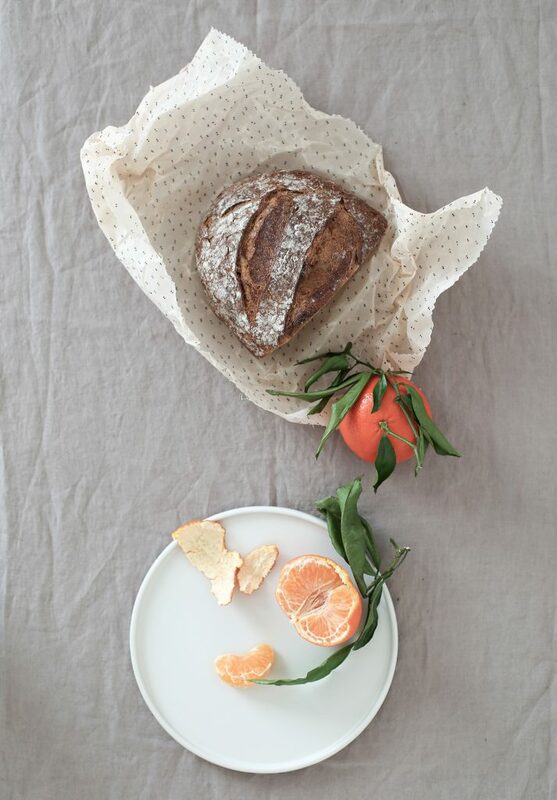 I know, covering leftovers is no styling competition, but I just can’t help myself when it comes to pretty products. The only thing I was able to do to satisfy my design-loving heart, is making the beeswax wrapper myself. By the way, super easy and totally pretty. 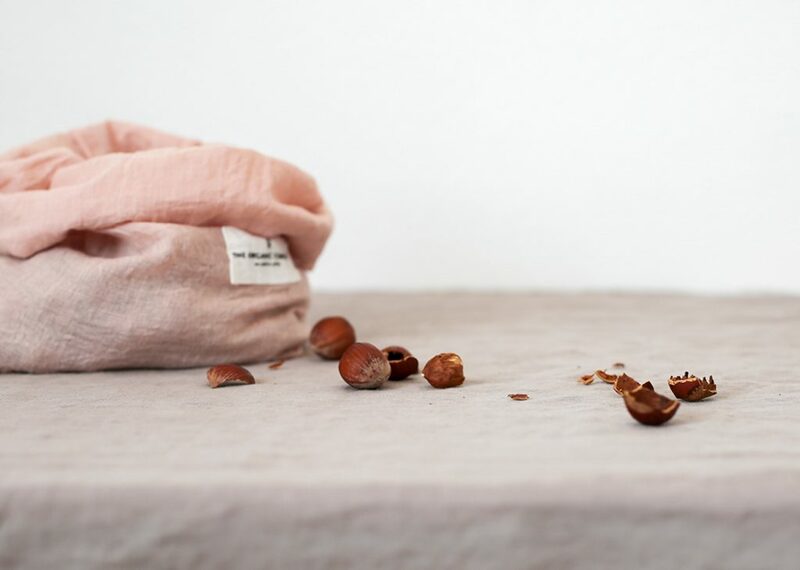 All you need is washed organic cotton scraps, a pinking shear, organic beeswax pellets, two sheets of parchment paper, an ironing board and an iron. Start by trimming the edges of the fabric with the pinking shear to prevent fraying. 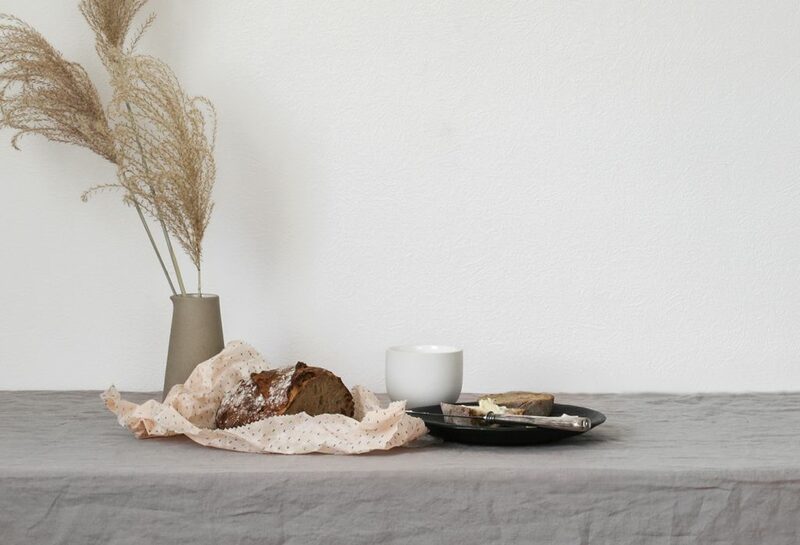 Put a large piece of parchment paper onto your ironing board and lay a piece of fabric on top. Set your iron to cotton. Spread the wax pellets evenly over the fabric and make sure they extend all the way to the edge. Don’t use too much beeswax, otherwise it will leak out to the sides while ironing. You can always add more wax once you get a feel for it. Lay another piece of parchment on top and start ironing. I started in the middle so you can push the liquid wax out to the edges as it melts. The fabric will get a bit darker as it gets saturated with the wax. Bare spots will show up a bit lighter, so simple ad a bit more wax there. 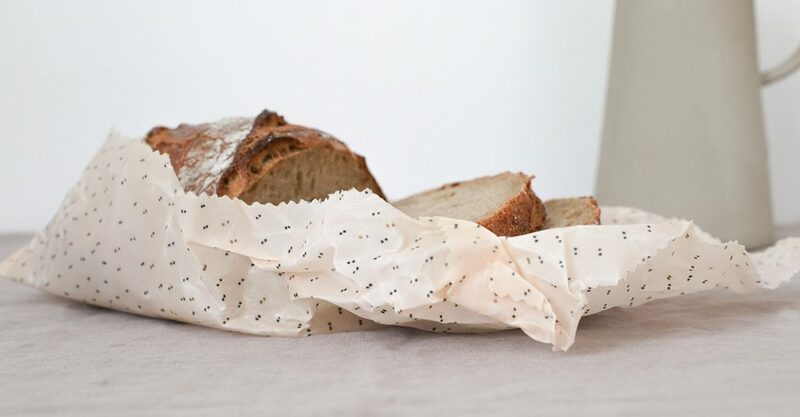 When you finished a sheet, peel it off the parchment paper and hang it up to dry on a clothes rack. As soon as they are dry you can start using them. 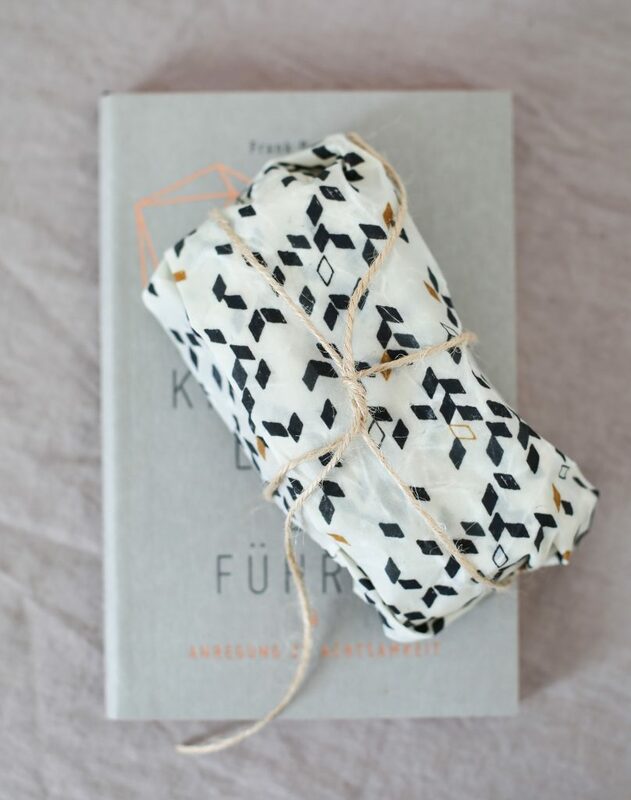 Use the warmth of your hands to soften the wrap and create a seal. When cool, the wrap will hold its shape. Wash in cool water with mild dish soap. Let them air dry and keep it out of direct sunlight and heat, as the wax will melt. 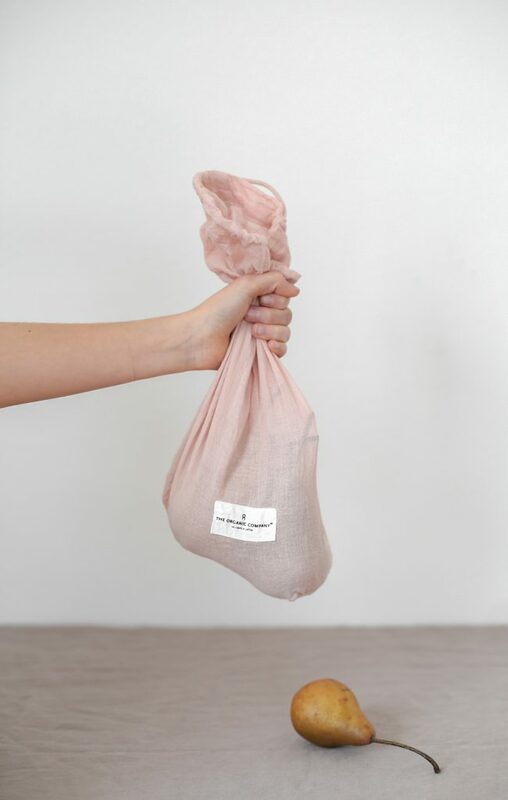 Use fabric bags instead and pack up your carrots, potatoes, and apples in style. 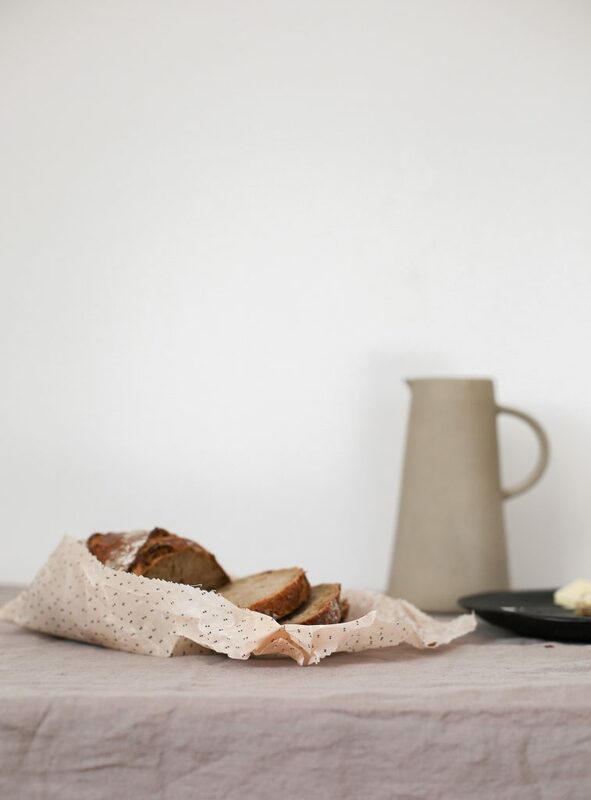 I’m a big fan of the Danish brand The Organic Company, and I use the all purpose bags for all of my shopping articles. I mean look how great they look! Who needs ugly little plastic pouches when you can have these beauties? 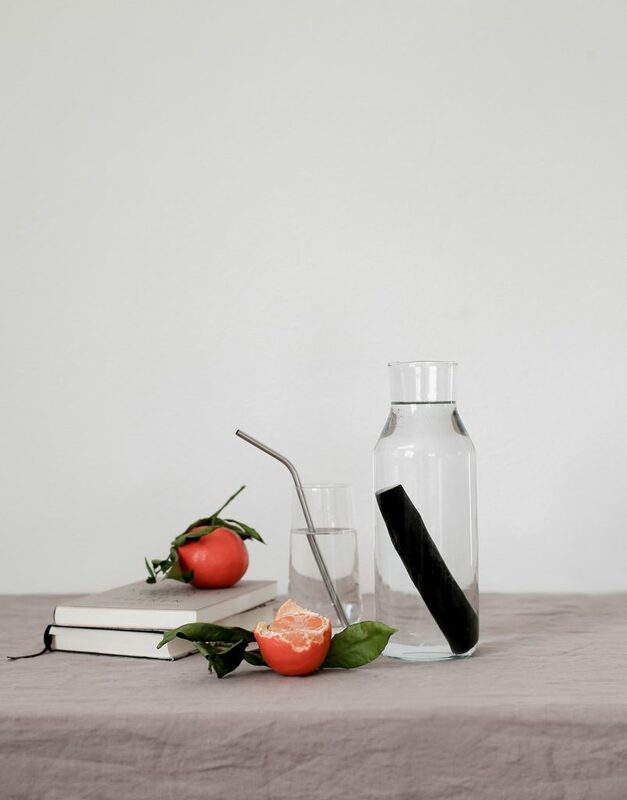 Plastic straws are totally out and replacing them with trendy stainless steel straws is a simple and cool way to do some good. Stop buying water in plastic bottles. Rather invest in a pretty and plastic free decanter and a drinking bottle. I love the once from MENU or the simple glass jugs you find at IKEA. 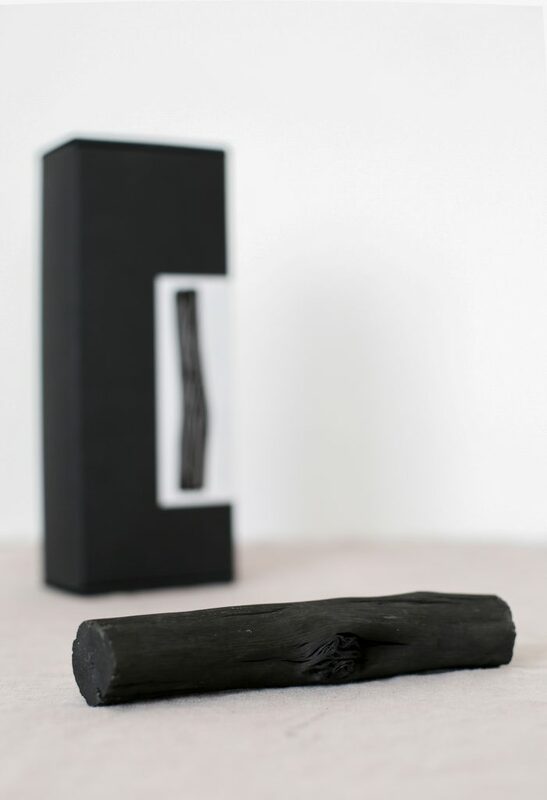 If you don’t like the taste of the tap water in your area, just use a piece of Binchotan Charcoalto filter the water. Your toothpaste, shower gel or favorite peeling may be full of microplastic and this adds to the pollution problem. Microplastics are very small artificial beads and fragments that are used as abrading agents or simply as fillers in many cosmetics. The sad truth is, the smaller the plastic fragments, the more dangerous they are. Our wastewater treatment plants can’t filter these particles out completely. Here in Switzerland, we have a great app called codecheck, and when you scan the barcode of a product, it tells you right away if it contains any harmful ingredients. And? What do you think? Did I inspire you to use less plastic the stylish way? I hope you enjoyed the column and I would love to hear your thoughts on the subject and feel free to share any ideas and any tips you may have. See you next month!